Raster calculator and styling with QGIS Analytics? 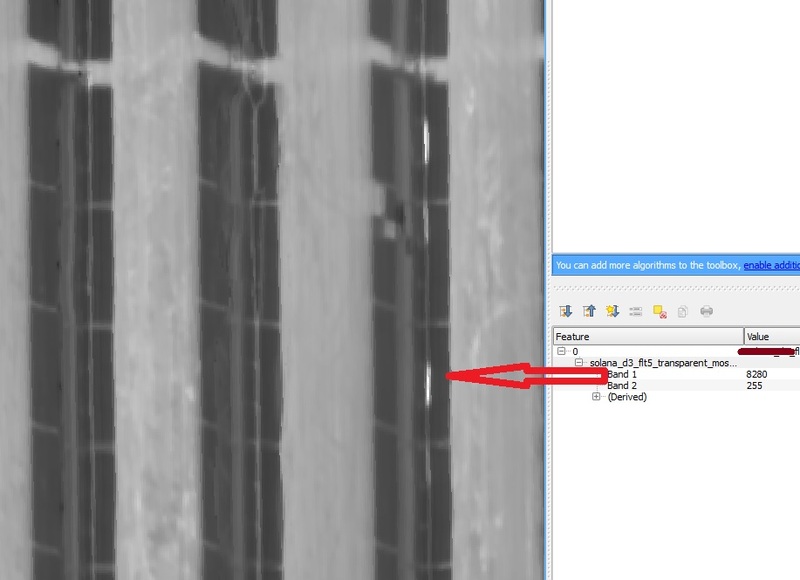 I am working with a Radiometric TIFF and trying to find a way to make finding anomalies within the raster quicker. The image is an orthorectified mosaic of many images of a concentrating solar site. The site is comprised of parabolic mirrors with a glass tube that runs down the middle. As tubes break or start to fail, they will become hotter than normally operating tubes. When a tube is failed it is fairly obvious to the eye when looking through the orthomosaic. However, with 100,000 tubes over 2000 acres, I am looking for a way to have the raster styled or to clip out only the failed tubes based on their thermal fingerprint. A failed tube, based on the altitude flown, is approximately 10 pixels long, 1-2 pixels wide and are significantly hotter than the pixels surrounding it. Issues however, are that these images are taken over multiple days and varying temperatures. 1/2 of the tubes are on the "return side" and are cooler and 1/2 are on the "heated" side and are hotter. Hot tubes found in the morning may be the same temperature as normal tubes in the afternoon. Surrounding ground structures are also sometimes in the same temperature range as the failed tubes. Even though temperatures vary throughout the site - the fingerprint is still the same. a connected string of 10 pixels or so hotter than the adjacent pixels. Is there a way using the raster calculator to enter a formula that would match this fingerprint? Is there a way to use styling to color only those temperatures in the failed range and clip out all other? I have a shapefile of the entire site that I could use for a mask with polygon features for every tube I can use as a constraint to the calculation if that would be possible? 4) would have been a general site image not zoomed in to show a larger section but really has no baring on the problem, was just for reference. I would recommend using an edge detection filter, looking specifically for horizontal edges. This will generate very bright pixels wherever there is a sharp transition from an area of relative darkness to brightness on the image. 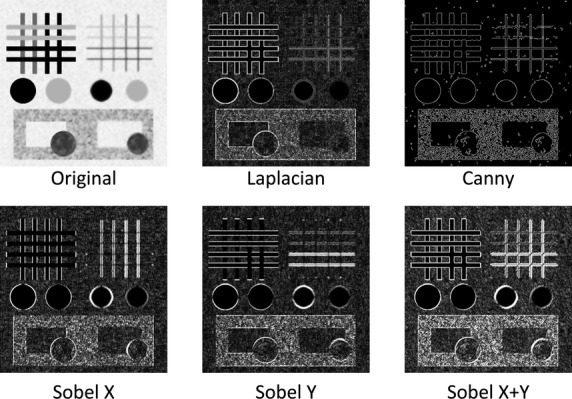 A popular edge detection filter is the Sobel Filter, which is well documented on the internet, and there are links to edge detection filters in QGIS in this SO question. You will probably have to play with the parameters of the filter until you get reliable results, at which point you can apply a threshold to the resultant image to isolate areas of likely tube failures. Not the answer you're looking for? Browse other questions tagged qgis raster style or ask your own question. How to resize a raster SUMMING the values of pixels in QGIS? QGIS raster image transparency, NO DATA value for all raster images? How would one go about combining multiple raster images into a single image and averaging their value? 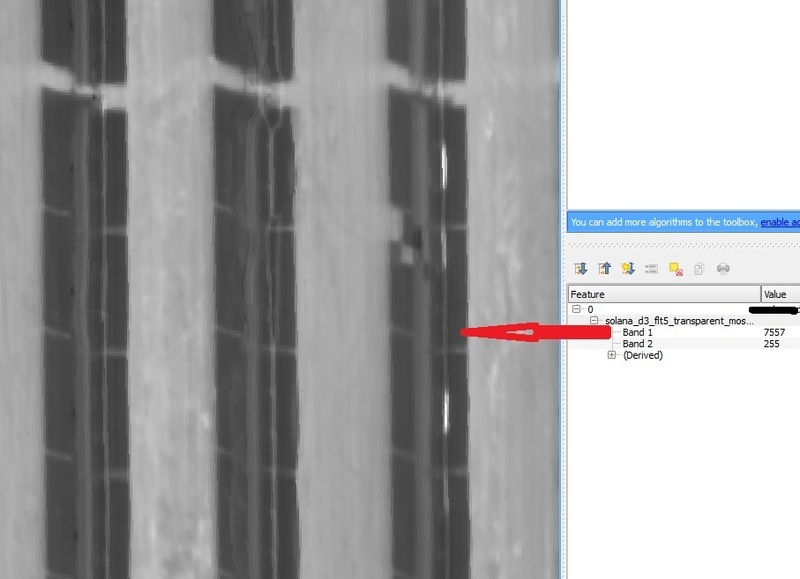 Using thermal image to identify hot spots automatically and converting to point?